How does the government decide what’s a problem and what isn’t? And what are the consequences of that process? Like individuals, Congress is subject to the “paradox of search.” If policy makers don’t look for problems, they won’t find those that need to be addressed. But if they carry out a thorough search, they will almost certainly find new problems—and with the definition of each new problem comes the possibility of creating a government program to address it. With The Politics of Attention, leading policy scholars Frank R. Baumgartner and Bryan D. Jones demonstrated the central role attention plays in how governments prioritize problems. Now, with The Politics of Information, they turn the focus to the problem-detection process itself, showing how the growth or contraction of government is closely related to how it searches for information and how, as an organization, it analyzes its findings. Better search processes that incorporate more diverse viewpoints lead to more intensive policymaking activity. Similarly, limiting search processes leads to declines in policy making. At the same time, the authors find little evidence that the factors usually thought to be responsible for government expansion—partisan control, changes in presidential leadership, and shifts in public opinion—can be systematically related to the patterns they observe. Drawing on data tracing the course of American public policy since World War II, Baumgartner and Jones once again deepen our understanding of the dynamics of American policy making. 2 Organizing for Expertise or Organizing for Complexity? 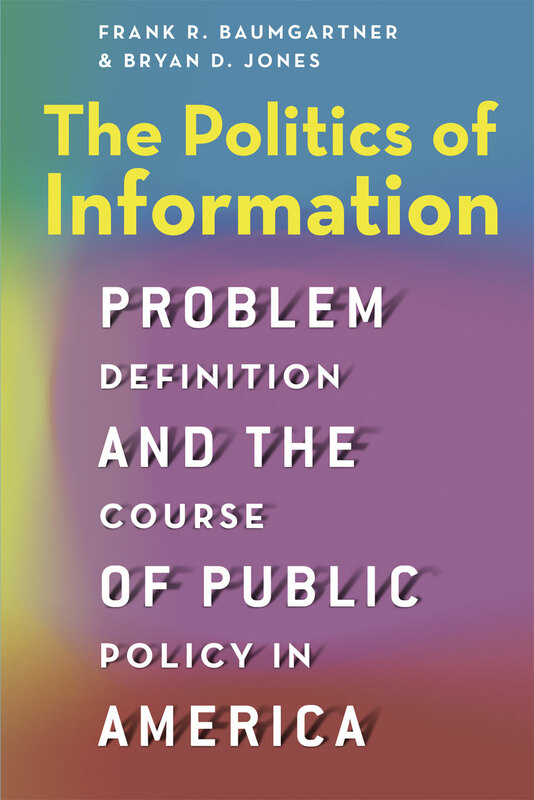 "The Politics of Information illuminates the vast landscape of the national policymaking process. The analysis of the broadening and thickening dimensions of government growth is especially noteworthy."